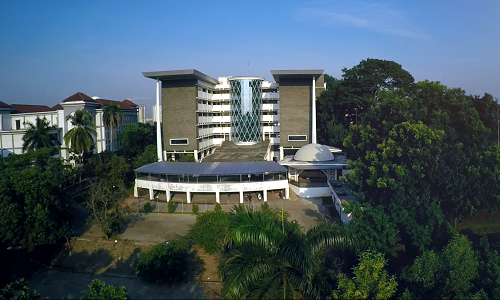 Rectorate Building, UIN News Onlineâ€“ UIN Jakarta will hold the 101st graduation ceremony for graduate and post-graduate, Saturday-Sunday (August 20-21th, 2016). Graduation Ceremony will be held in Harun Nasution Auditorium, Campus I UIN Syarif Hidayatullah Jakarta, Jl. Ir. H. Juanda No. 95, Ciputat, South Tangerang. 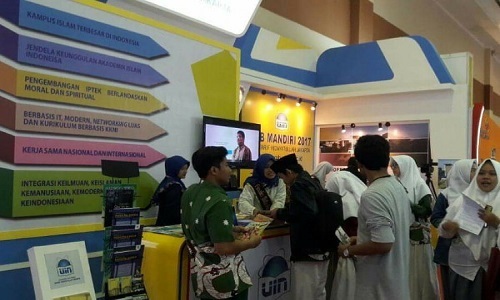 When met by UIN News Online team, Subdivision Head of Documentary and Publication Feni Arifiani MH said, the graduation ceremony will be held in two days, and will inaugurate 1008 people. â€œFor Saturday, graduation ceremony will be held for the graduates from Faculty of Daâ€™wah and Communication (81 people), Faculty of Syariâ€™ah and Law (92 people), Faculty of Ushuluddin (45 people), Faculty of Social and Political Sciences (91 people), Faculty of Science and Technology (107 people), and Faculty of Medicine and Health Sciences (84 people). On Sunday, Faculty of Tarbiyah and Teachers Training (281 people), Faculty of Adab and Humanities (40 people), Faculty of Dirasat Islamiyah (25 people), Faculty of Psychology (31 People), Faculty of Economics and Business (117 people), and 14 people from SPs (UIN Jakarta post-graduate school).â€ He said. He also added that the graduates are required to be present as scheduled.